The short stories seem really disjointed at first, particularly the first one. I cept thinking back to it wondering why it was in this colection, but they are all bilding up to the final story, and it is great! I am a huge fan of this auther, and the preformer adds some sweet voices to it as well. This dark psychological fantasy is more than a moral tale. It is also a product of its time, drawing on contemporary theories of class, evolution and criminality, and the secret lives behind Victorian propriety, to create a unique form of urban Gothic. first off I would have to say that I totally forgot about the other Tales of Terror part. 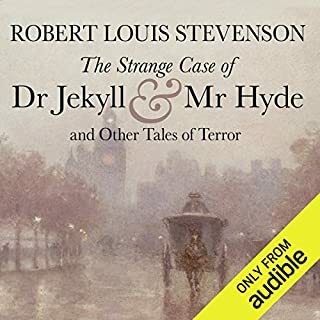 For the whole second half of the listening I was wondering what the heck this has to do with mr. Hyde. they were definitely interesting to listen to, as they come from an era when books were written very differently than today. dr. Jekyll and mr. Hyde was shorter than I expected it to be seeing as how there are so many offshoots of it. the other Tales didn't really make sense to me though. didn't really seem to have much meaning, and the last one was quite baffling. 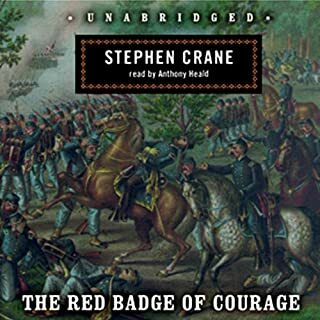 Following its initial appearance in serial form, Stephen Crane's The Red Badge of Courage was published as a complete work in 1895 and quickly became the benchmark for modern antiwar literature. In the character of Henry Flemming, Stephen Crane provides a great and realistic study of the mind of an inexperienced soldier trapped in the fury and turmoil of war. Flemming dashes into battle, at first tormented by fear, then bolstered with courage in time for the final confrontation. 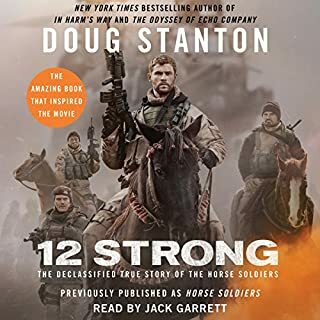 this novel is a classic and a great way to show what we think of war, what war is and how difficult it can be in battle. I love this whole series thus far (only just found out that it is not a trilogy!). 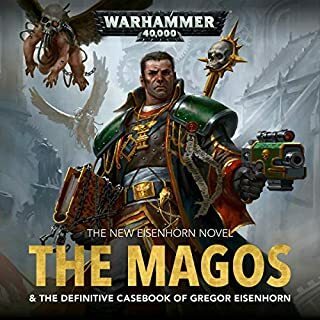 It's pretty much Sherlock in space, with all the sword and gun fights one would expect from a 40K novel. Not sure where it can go from here, but I am excited to find out. this is a informative, funny, witty, straight forward, personal, real life, raw emotion filled story you need to hear. this little book is so great at remind us of what we have lost or stopped doing pursuing God and knowing who He is. If you love the Lord you will enjoy. 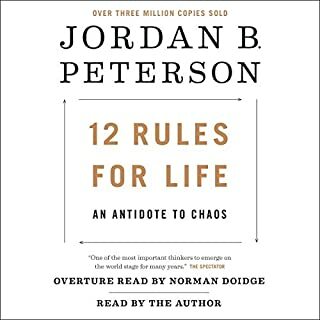 Jordan wants us to have better lives. Jordan wants young people to have hope and purpose. Be the super hero to your story. 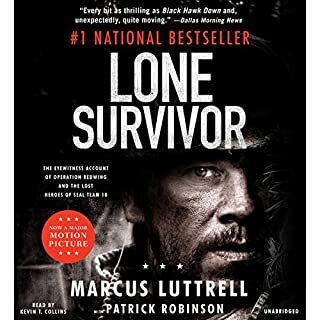 the story of the Special Forces soldiers is amazing, I just find that the author put a little too much of his own opinion into the main storytelling. the little bit he does at the end is fine, because that section is legitimately just for him telling his opinion. but when he sprinkles it throughout the book it kind of takes away from the reality of the story. also, it could just be me but it took me awhile to get used to the reader. 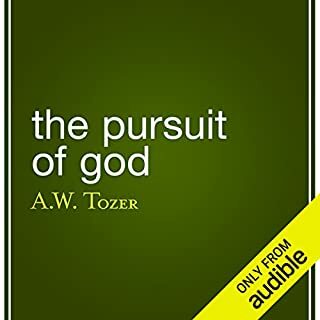 this is a story I think all young men should listen to or read. not that I think all young men should join the Army to go to war, but I think all men should be ready to fight for what is wright, fight for their country, and their families. 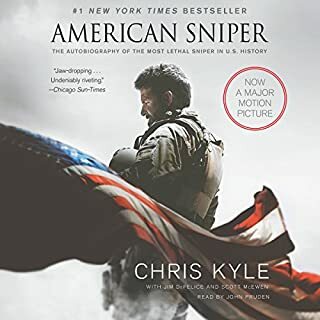 not only that I think that Chris is stories about being a father as well as a soldier are very inspiring, and all men could and should take inspiration from him. Zach Adams is one of the best detectives in the country. Nicknamed Cowboy, he serves on a federal task force that has a single mission: to hunt down Dominic Abend, a European gangster. 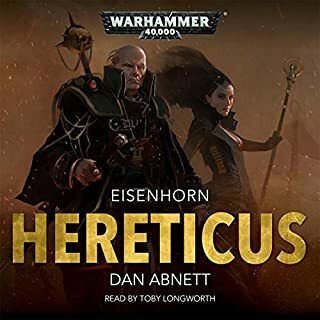 I originally started listening to this book thinking that it wasn't going to be very good, I just needed something to distract me from my dental appointment. 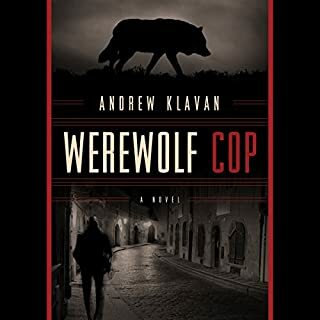 despite its name werewolf cop is actually a really good book. the first chapter kind of drones on, the author gives a lot of backstory right up front to every character, but the rest of the book has some nice pacing, and a realness that makes it feel right.